We are a major buyer of both consented and unconsented land and are always looking out for more. If you have land to sell, no matter what the size, that may be suitable for new apartments, future residential or mixed use development, we’d like to hear from you, whatever its current condition or status. We have also previously purchased land under one acre and have gone on to achieve planning consent for a small development of only a few new homes. No land is too big or small for us to purchase, if the potential is there for new apartments or homes we will always be interested. We very much specialise in land without planning permission and have considerable expertise in resolving difficult planning problems and sites with previous planning refusals. We have very good relationships with many of the local authorities in the areas that we develop. The Hodson Developments Land and Planning Team will quickly assess the potential of your site and follow up with a discreet and professional service to facilitate the purchase of the land promptly and efficiently. For over 35 years we have forged successful relationships with land agents and landowners. We have a wealth of experience in helping sites that may otherwise be overlooked reach their full potential. Our close team of planning consultants and architects are experienced in delivering the right product to the right area. They specialise in unique, superior-quality developments in desirable locations, and we always develop new apartments and homes sympathetic to their surroundings. As an established independent company, we have a flat management structure and are in a strong financial position. So we can act very quickly and decisively on a wide variety of acquisition opportunities. We pride ourselves on our swift decision-making, always responding to offers from landowners or their agents quickly. If you are a landowner or agent, or know of an area that would benefit from redevelopment, please get in touch. It’s our success that has given us a reputation that sets us apart. Please contact our Land and Planning Department on [email protected] if you would like to discuss any opportunities. We have had great success in creating and delivering major residential-led developments. These have included some major infrastructure developments and our reputation as a leader in the field has been hard earned. We work in a close partnership with private and public sector landowners, their agents and advisors. All to make sure we deliver the best value for the land. These skills in placemaking have received positive responses from planning authorities. This means we are able to successfully secure planning consents. If you are looking to buy, rent, lease, invest or develop, no matter how large or small your requirements, through team work and exceptional know how we may be able to respond to your needs. Whether you are a retailer, an investor or developer we have a number of offices, retail and leisure opportunities within our land holdings. 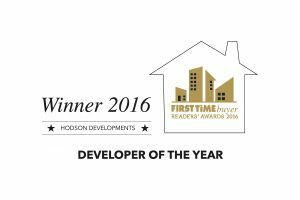 We have promoted and delivered award winning new developments for many years and we have recently been awarded both ‘’Private Developer of the year 2016’’ and ‘’Best Strategic Planning 2016 award’’ for our work. Unlike many others, we articulate a vision for each of our developments. This means the developments we create are places of character and quality. We use planting and open spaces to sensitively and thoughtfully create great environments for residents to enjoy. We create places of lasting value through master planning, exceptional landscaping and infrastructure, always delivered with great attention to detail. We ensure the streetscape and landscape make an impact early on in the process. And that planning obligations are delivered to maximise value (such as the early provision of community facilities). We have excellent relationships with Governments, Local Councils, Statutory Authorities and Agencies. We recognise the importance of a collaborative approach at all stages of planning and development, so we work closely with existing communities to understand their concerns and aspirations. Our expertise in house building means we have a real and genuine understanding of the power of creating a cohesive community. So we are able to demonstrate to Local Authorities that we will deliver the top-quality housing and development they are under pressure to provide. We have selected one of the best specialist teams in the industry to provide the land, planning and technical skills we need. This allows us to successfully identify, promote and deliver major residential-led developments of new apartments and homes. At Hodson Developments we are passionate in all that we do to. And it’s our passion that drives us to deliver successful results.